The full scale Metropolitan Vickers differential analyzer pictured in 1938. 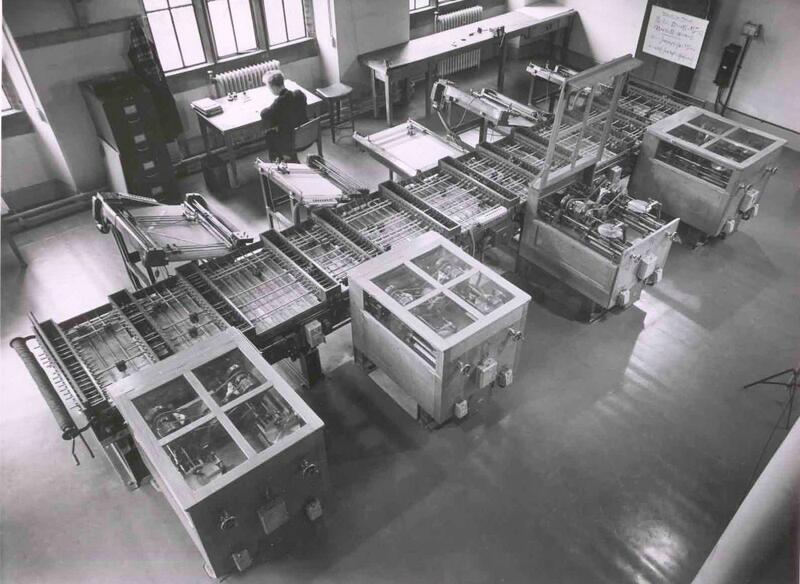 On the right side of the machine are 8 integrators arranged in pairs, and on the left side the I/O tables. The output table is the center one of the five. Two of the four input tables are also set up to serve as multiplying units. 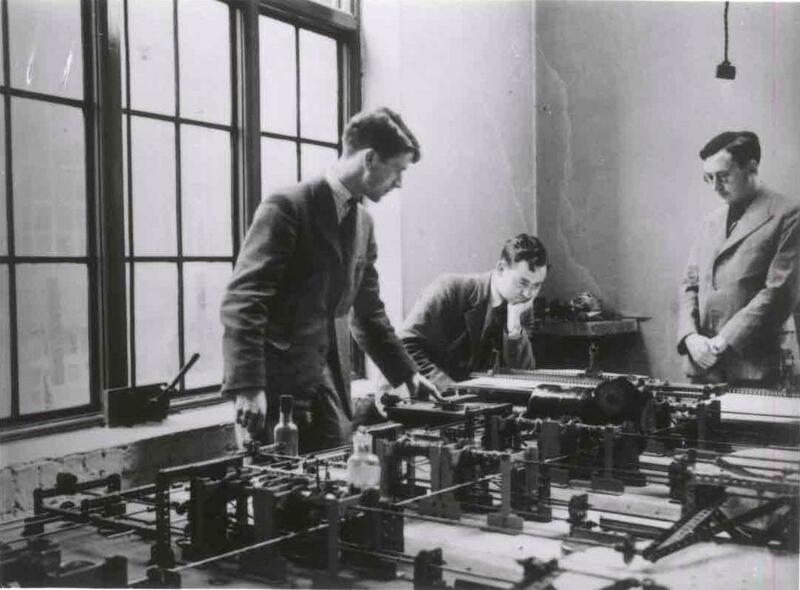 The Meccano differential analyzer also in 1938, pictured in the Theoretical Chemistry room. The three people in the picture are, from left to right, A.F.Devonshire, J.Corner, and M.V.Wilkes. This machine was bought for the sum of £100 by Dr. Harry Whale in 1950 and moved to New Zealand for use in radio research. It still exists, though in need of restoration after being damaged in storage, and is currently owned by MOTAT (Museum of Transport and technology) in Auckland, New Zealand. Thanks to Allan Barton for this picture of the machine taken around 1978.